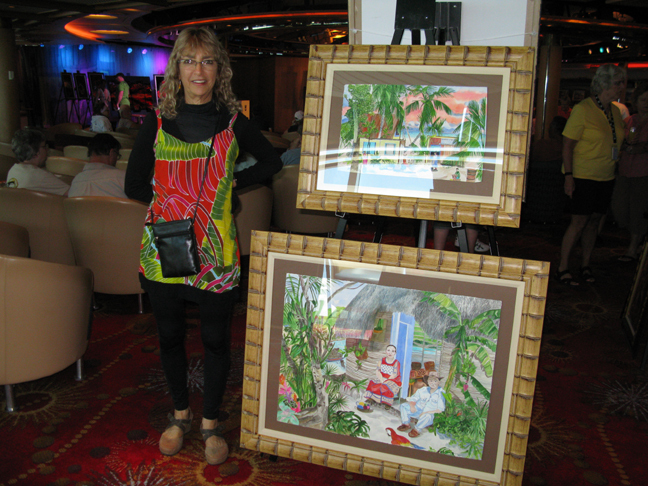 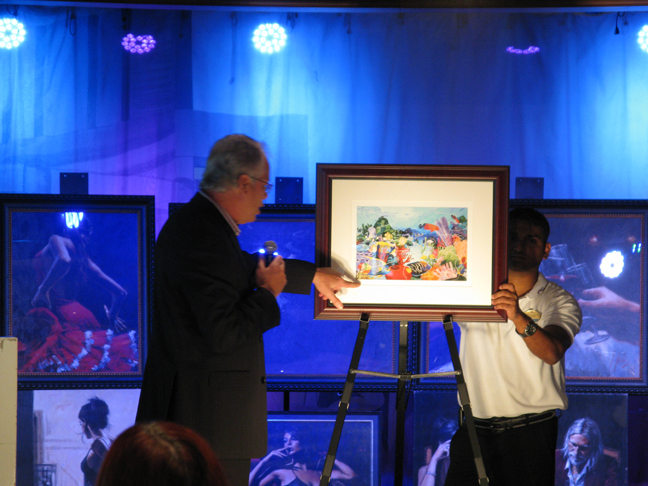 “Artist in Residence”-RCCL Rhapsody of the Seas -Hawaiian Islands across Pacific ocean to Vancouver, B.C. 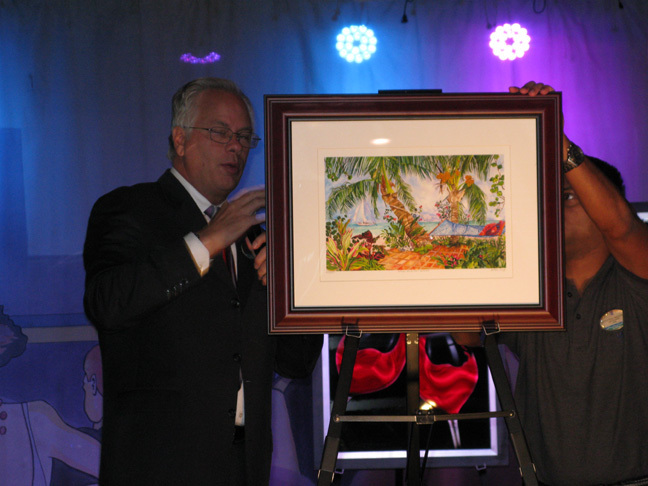 We sailed around the Hawaiian Islands and then across the Pacific to Vancouver. 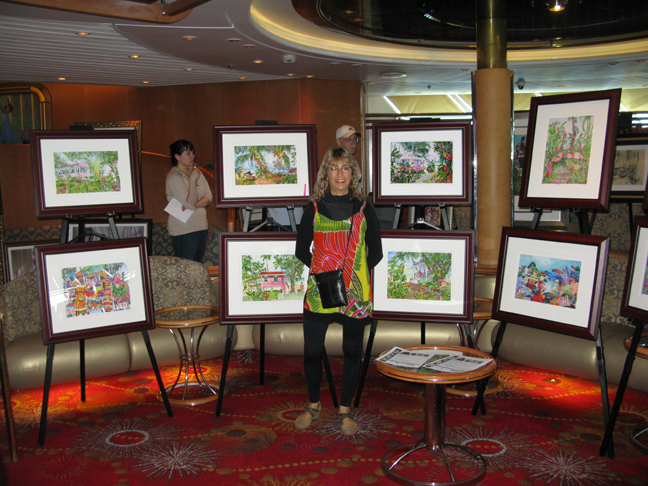 It was a great trip.. met lots of people, sold lots of giclees.. 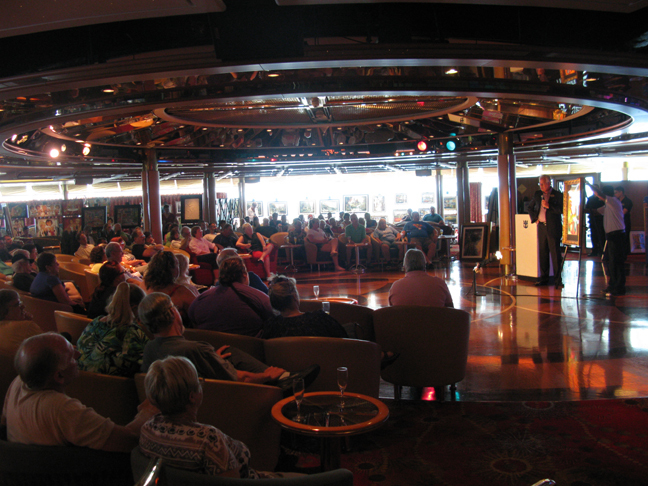 The Room was packed everyday with the Ships Guests while we sailed one week across the Pacific Ocean.